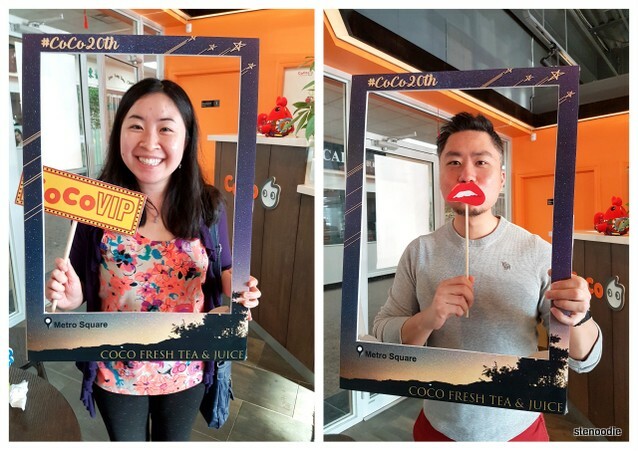 CoCo Fresh Tea & Juice is celebrating their 20 years with a photo contest! 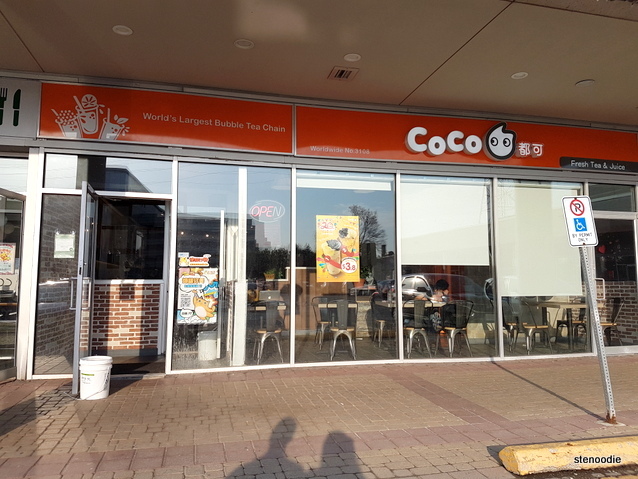 CoCo Fresh Tea & Juice is the largest bubble tea chain in the world with over 2,000 locations! They serve drinks from milk tea to macchiato, yakult, smoothies, and fresh juice. You can include toppings like pearls, pudding, sago, coconut jelly, red bean, and grass jelly. 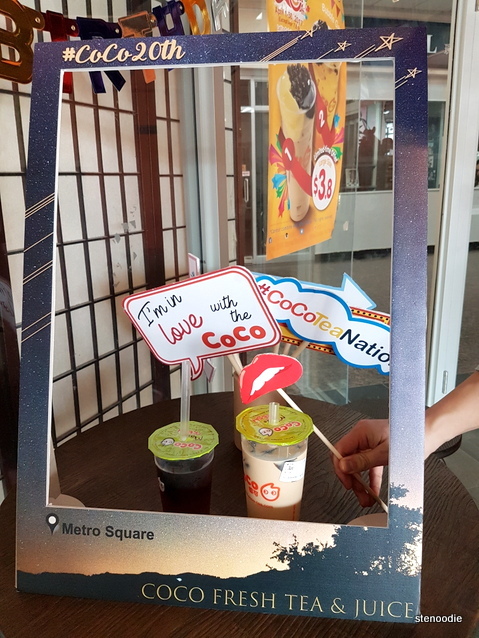 To enter the contest: Share a CoCo tea photo on any social media platform with hashtag #CoCo20th to be automatically entered. 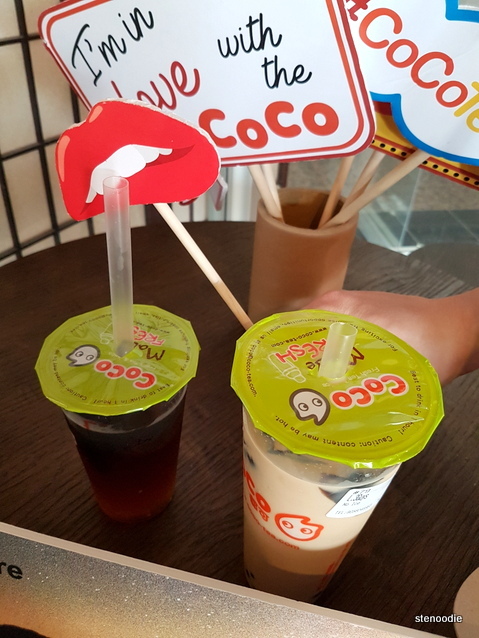 The prize: Five winners will each receive a one free CoCo Tea drink per day for 30 days voucher. Contest being held in province of Ontario from April 1 to 30, 2017. 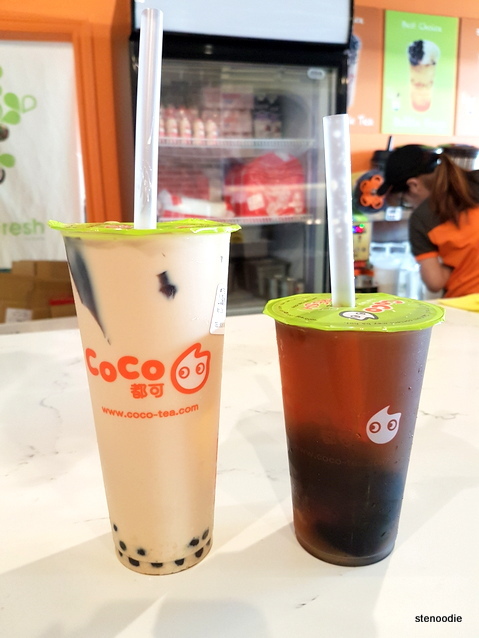 We went to the Metro Square location to try their two drinks. 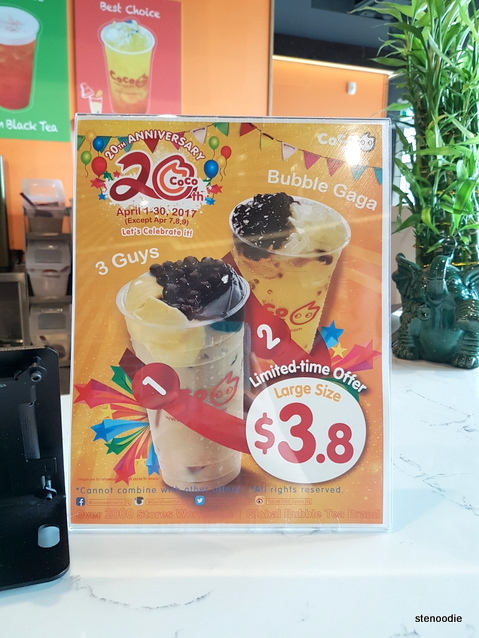 I chose the Winter Melon Juice with Grass Jelly while Ken had the “3 Guys” which was a milk tea with grass jelly, pudding, and tapioca. After we placed our order at the counter, our drinks came out pretty quickly. There were other customers waiting for their drinks too on a warm spring day that was perfect for a refreshing cup of bubble tea or fresh juice. Fun props to play with at their photo station celebrating their 20 years. 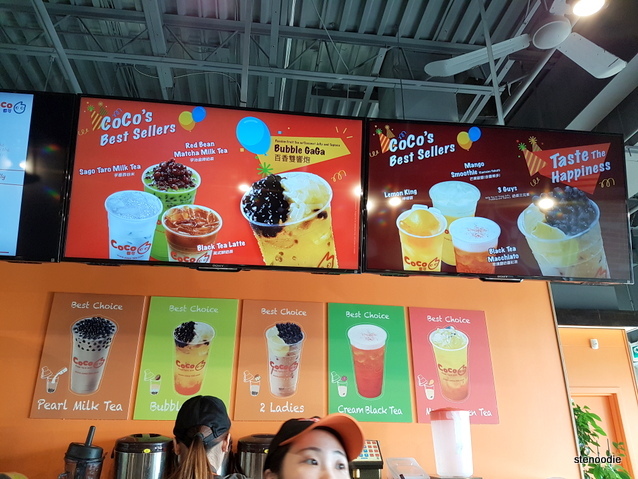 FTC Disclaimer: Although CoCo Fresh Tea and Juice reached out and exchanged complimentary drinks with me in order to promote their contest, the opinions expressed here represent my own and not those of the company. 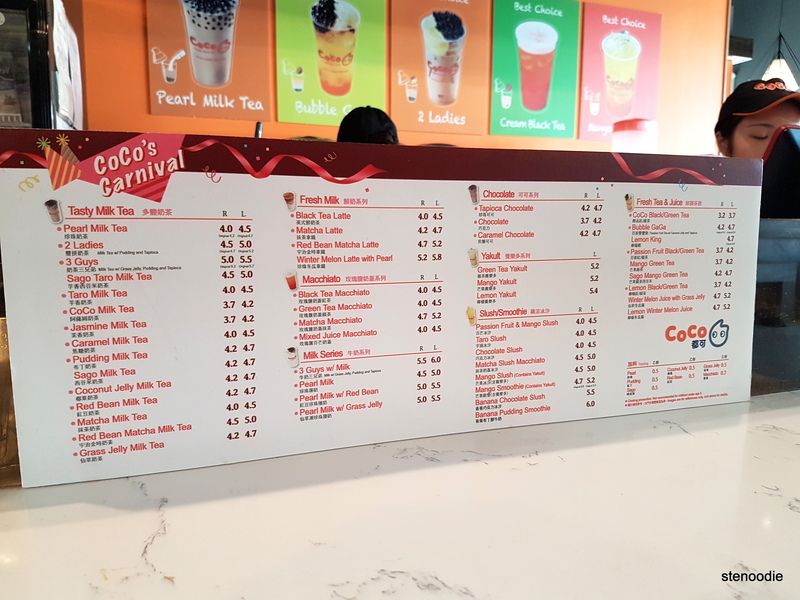 This entry was posted in Complimentary Adventures, Food and tagged 20th anniversary, 3 Guys, 3636 Steeles Avenue E Unit 103-103A, @cocoteatoronto twitter, bubble tea, bubble tea chains, CoCo contest, CoCo Fresh Tea & Juice, CoCo Fresh Tea & Juice 20 years, CoCo Tea, CoCo Tea 20th Anniversary special, Coco Tea drinks, CoCo Tea menu and prices, Coco Tea Metro Square in Markham, food blog, foodie, Markham, Winter Melon Juice with Grass Jelly, World's largest Bubble Tea brand. Bookmark the permalink.